Annamarie Tendler is a renowned creative artist famous for her artistic facial and hair makeovers which she shares on her blogs. In addition, she is a show host and author. With her increasing popularity and achievements; many people have come to wonder how these hats can be worn beautifully well by just one person. Not only is she gifted in the areas listed above, but she is the beloved wife of a popular entertainer whose name is John Mulaney. Both of them have enjoyed massive success and hitch-free marriage since 2014. Below is the bio, age, and height of this amazing female celebrity. Read on. The 9th day of June 1985 saw the birth of Annamarie Tendler in Bethel, Connecticut in the US. Details of her family background and childhood are not public knowledge. The only information available about her family is a brother named Jesse Ryan Tendler. However, from her educational timeline, it is evident that she chose the arts from a very young age. After her High School graduation, Annamarie Tendler enrolled in Vidal Sassoon and Make-up Designory where she acquired the basic knowledge of hairstyling. After she graduated from the Make-over school, she signed up for a photography course at Parsons School of Design where she got certified as a professional photographer. Tendler did not stop there, as she obtained her university education at The New School, a non-profit research university in Manhattan, New York City, where she majored in Writing and Psychology. 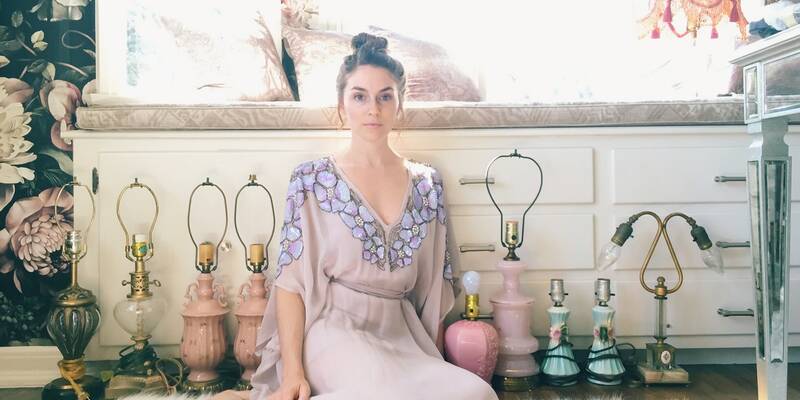 Annamarie Tendler has never failed to share with the world, her creative talent, especially her make-up artistry, and hairstyling skills, a career path she decided upon even before she became a university graduate. Tendler instantly started her work as a stylist in New York City after her education. By December 2017, she began her blog known as The Daily Face on Tumblr. She used the blog as a medium to successfully tutor her fans and followers on simple, daily and the best makeup routines which in return has endeared her to many and brought her fame. Although she is a well-known personality because of her skills, she teamed up with MTV Style where she showcased various face and hair styling segments which soon circulated to numerous notable print media like Glamour, HelloGiggles, and DailyCandy. Her artworks have seen her feature in some television series and comedy specials which include The Old Man and the Seymour, CollegeHumor Originals, John Mulaney: New in Town, John Mulaney: The Comeback Kid and Aziz Ansari: Dangerously Delicious. Besides, she has successfully established herself as the business owner of Silk Parlor, a creative line which specializes in making colourful hand-crafted Victorian-style lampshades and stands. Moreso, she has displayed her skills as an author, in the books titled The Daily Face: 25 Makeup Looks for Day, Night, and Everything In Between! in 2014, and Pin It! : 20 Fabulous Bobby Pin Hairstyles published in 2017 has equally announced her as an all-round gifted woman. Who Is Her Husband John Mulaney? 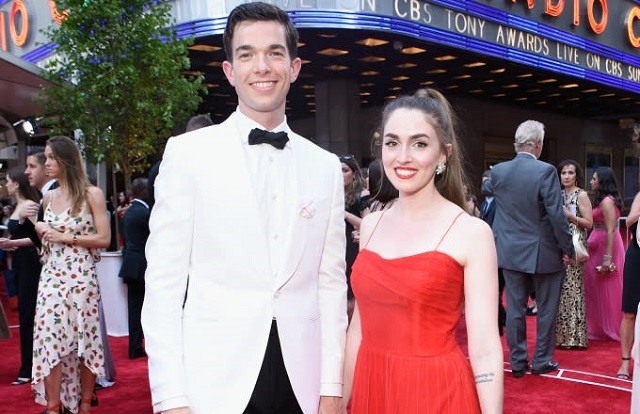 Annamarie Tendler is the wife of an award-winning American screen and voice actor, stand-up comedian, producer, and writer, John Edmund Mulaney. There is no verifiable record of how and when their paths crossed, they were said to be friends until they decided to become husband and wife. One very unique feature of their wedding was the environment where the ceremony was held. The event took place at the natural environment of Onteora Mountain House in Boiceville in New York City, on the 5th day of July 2014, in the presence of families and close friends. The wedding was officiated by a Canadian actor Dan Levy who is their mutual friend. After the wedding, John thrilled his guests with comedy which sent them all into a laughing mode. The couple used the medium to appeal to their guests to donate generously to the cause of wrongfully convicted fellows through the Innocence Project, a charitable organization – the donation would help get the convicts DNA tests to prove their cases in court. Their union is yet to produce any child but they have a lovely French bulldog named Petunia. John Mulaney was born on August 26, 1982, in Chicago, Illinois in the US to a law professor mother, Ellen Mulaney and an attorney father, Charles Mulaney Jr. He schooled at Georgetown University and is known for his voice role as Andrew Glouberman in the Netflix animated show Big Mouth. He has featured in well over 28 television series and a couple of films which were mostly voice-over works. Out of over 18 award nominations he has earned, he won about five which includes Writer Guild of America Award (2009) and (2010), Peabody Award (2009), Primetime Emmy Award (2011) and (2018). Annamarie Tendler stands out among her peers, not just in her career achievements but in her physique. She commands a height of 6 foot (1.83m) which is neatly supported by a weight of 53 kg (116.8lb).